This classic quote, misattributed to Saint Francis of Assisi, is both clever and catchy. It just isn’t biblical. Evangelism—communicating the good news of King Jesus—always requires words. Christians are called to adorn the gospel with actions (Titus 2:10), to be sure, but our actions are not the gospel. No amount of righteous living can replace the necessity of verbally proclaiming God’s saving achievement in Christ. God intends gospel proclamation to take place within Christian homes as parents raise their children “in the training and instruction of the Lord” (Eph. 6:4). Children of believers, then, are specially set apart as front-row witnesses to and beneficiaries of gospel influence (1 Cor. 7:14). By God’s grace, Timothy could not remember a time in his life when he wasn’t acquainted with the Scriptures and their saving power. The apostle was emphatic that his team’s ministry in Thessalonica wasn’t some hit-and-run gospel invasion. They were happy to stay, to form friendships, to invest their lives. 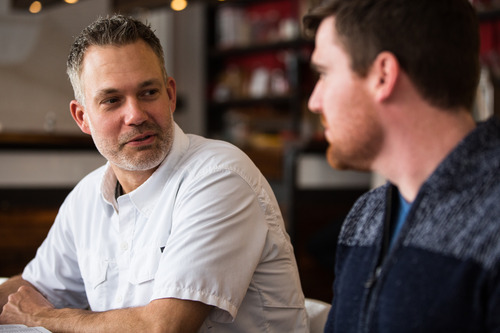 The final (and least popular) type of evangelism involves initiating gospel conversations with people you’ve never met. When I was in college, my campus ministry would often gear its outreaches around this approach—always a surefire way to get eye-rolls from the friendship-evangelism-only crowd. Contact evangelism, they insisted, is cold, impersonal, even deceptive. Anything can be abused, of course, so contact evangelism can no doubt become unloving and unhelpful. But it doesn’t have to be. In fact, this method is explicitly modeled in Scripture too. In John 4 Jesus strikes up a conversation with a woman beside a well. Not only is she a complete stranger, she’s someone Jesus “should” avoid since she’s a woman and a Samaritan (double no-no). Nevertheless, he goes out of his way to meet her and turns their “natural” chat about water into a “spiritual” one about himself. He doesn’t waste much time, either, moving from “Will you give me a drink?” (v. 7) to “If you knew the gift of God and who it is that asks you for a drink, you would’ve asked him and he would have given you living water” (v. 10) in the span of just three verses. The earliest Christians were apparently eager to initiate gospel conversations with “random” persons, with strangers—with whomever their sovereign Lord led them to encounter (Prov. 16:9; 20:24). If the danger in friendship evangelism is never getting to the evangelism, the danger in contact evangelism is not caring enough to remember the person’s name. We aren’t manipulators, and we don’t work in sales (2 Cor. 2:17). God-honoring contact evangelism, then, requires healthy doses of social awareness, common courtesy, and authentic concern. People need to hear the good news about Jesus Christ, and there is no one-size-fits-all prescription for how that has to happen. It just has to happen. Whether we’re hoping to witness to a child, to a friend, or to a complete stranger, may the Holy Spirit grant us the courage to live lives of gospel intentionality this week—humbly and prayerfully seizing opportunities to brag about our great Savior. 1 In this article I’m focusing on “personal evangelism,” not larger-scale categories like evangelistic preaching (e.g., various sermons in Acts) and a church’s corporate witness (e.g., John 13:34–35).